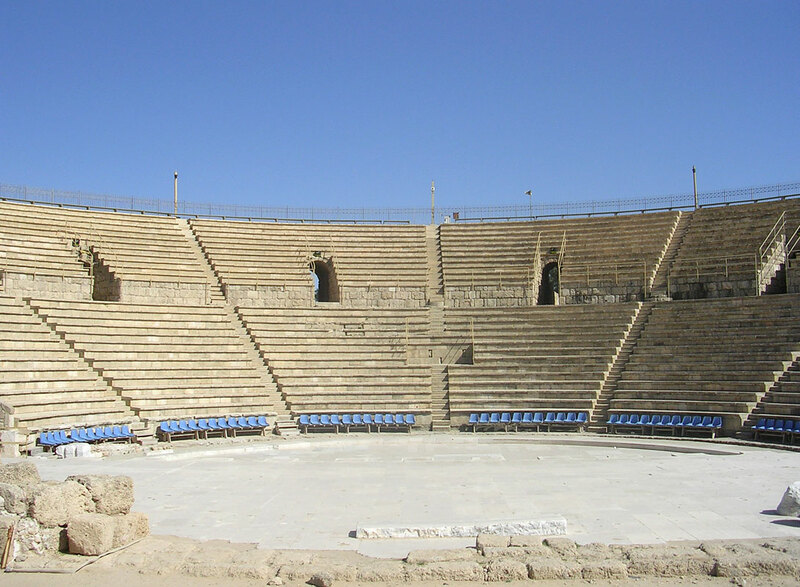 This is the most ancient theatre found in Israel. It was build at the time of king Herod and was functioning throughout centuries right up to the Byzantine period. The theatre has two circles (cavea) and approximately 4000 seats. The semicircular widening (“orchestra”) is faced with stucco resembling marble, which was repeatedly renewed. Behind the scene there was a beautifully decorated wall resting on the columns three floors high, which served as a background for the scene.